504 Main by Holly Lefevre: Did You See This Giveaway???? Did you see this giveaway?????? 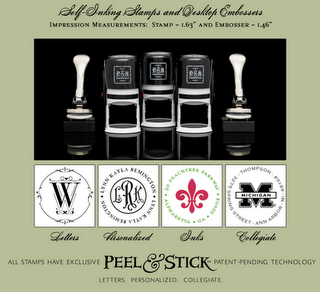 You win the stamper body and one personalized stamp. The great - no amazingly fun thing - is that you can then purchase other stamps, to use on the stamper because PSA Essentials has cool peel and stick technology. I am not good at the legal speak, but I am responsible for this stamp giveaway myself. The company did not and is not providing me with a sample or with the prize. Thanks for sharing this. Also thanks for visiting my blog. Hope you will come back sometimes. Wow...you have over 1000 followers! That is AMAZING!!! !